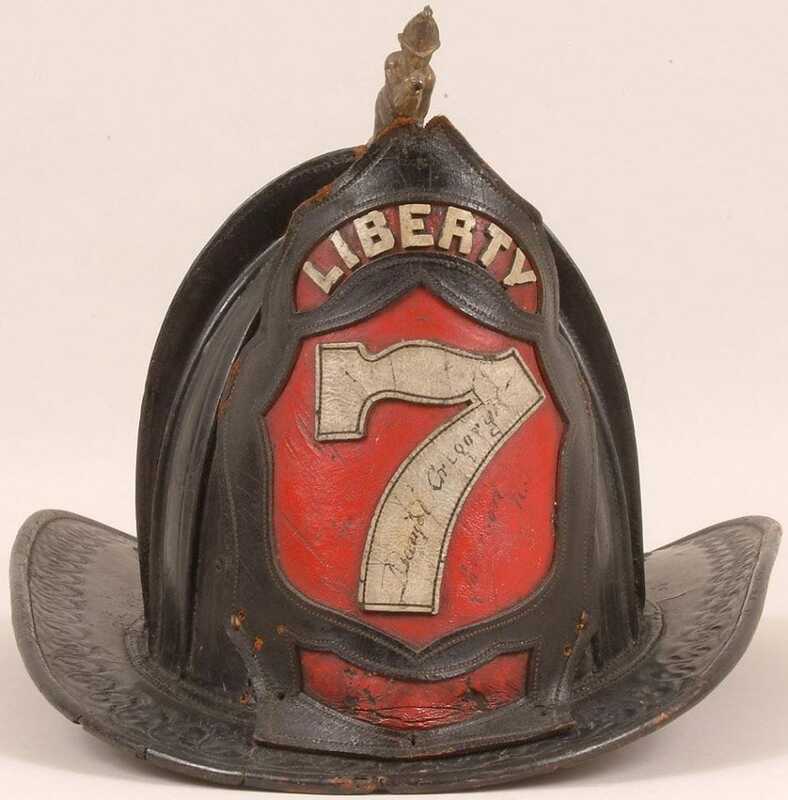 ​This company was organized August 9th, 1871, and went into service in April, 1872. 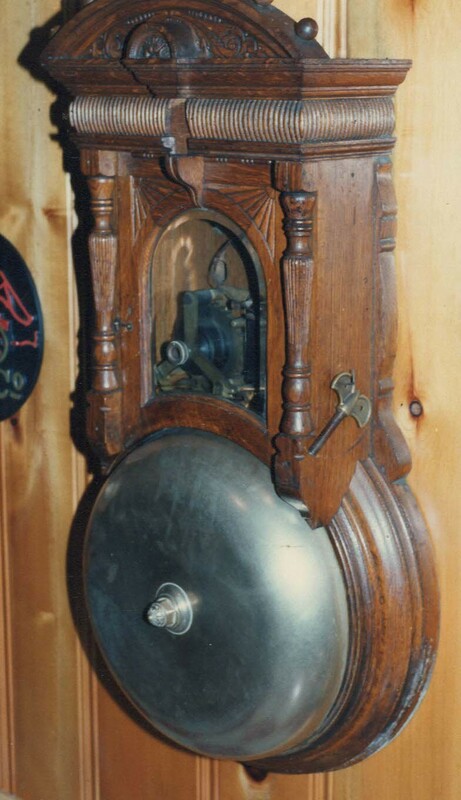 Their first engine was a Van Ness piano-box engine, formerly used by Engine No. 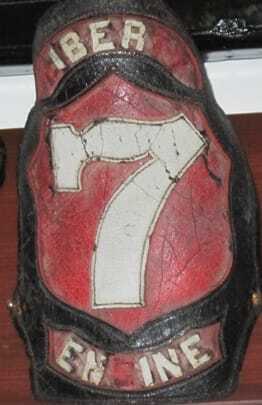 6 and 1. 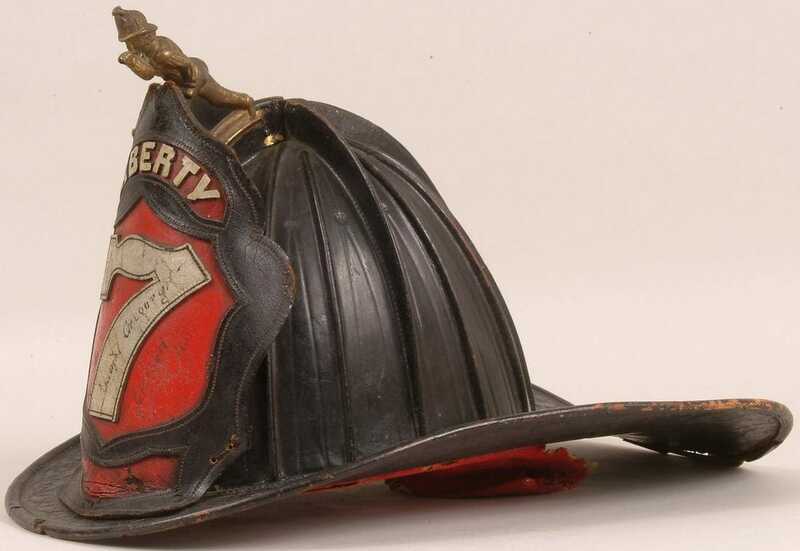 They were first located in a one-story frame building on the lot at 298 Tyler Street (near Graham Avenue). 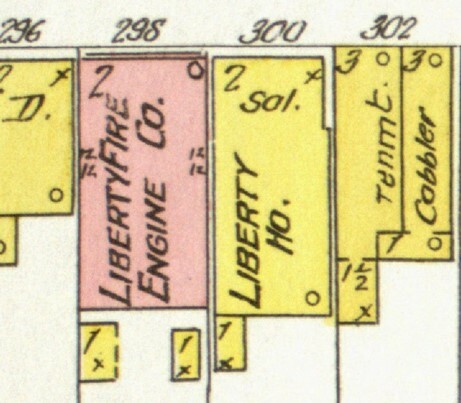 A brick firehouse was then built on this very lot (seen in photo below) In September, 1879, a single pump Clapp & Jones, was put in service. 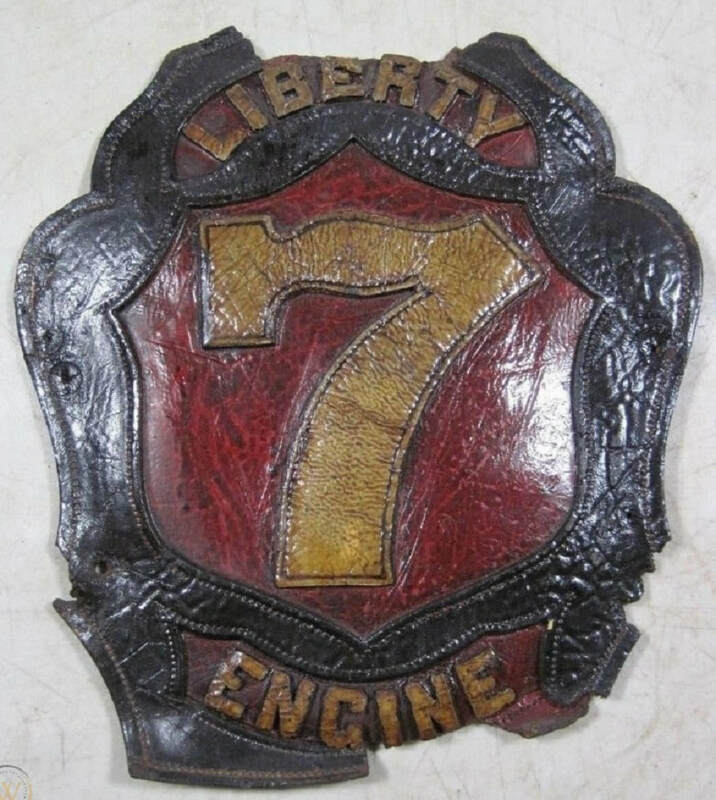 When the paid department was founded in 1890, the company became Engine Company 7. 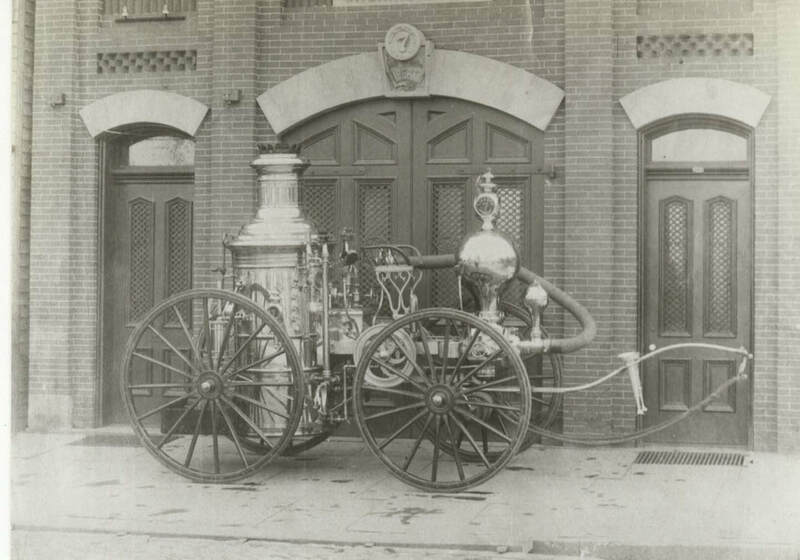 The photo below is of Liberty Engine Company 7 at their 298 Tyler Street Firehouse (renamed 12th Ave in 1929). 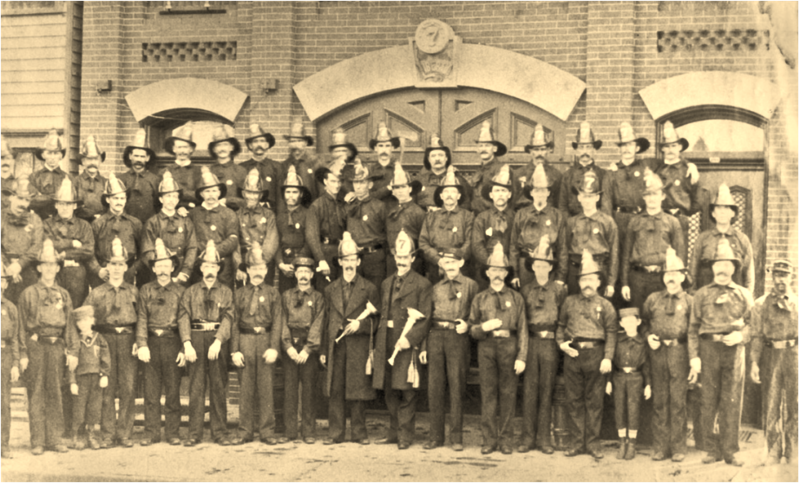 Note at bottom right is almost certainly the first African American ever to be shown in a Paterson Fire Department photograph from the 19th century. Foreman in front with trumpets. Note child mascots. 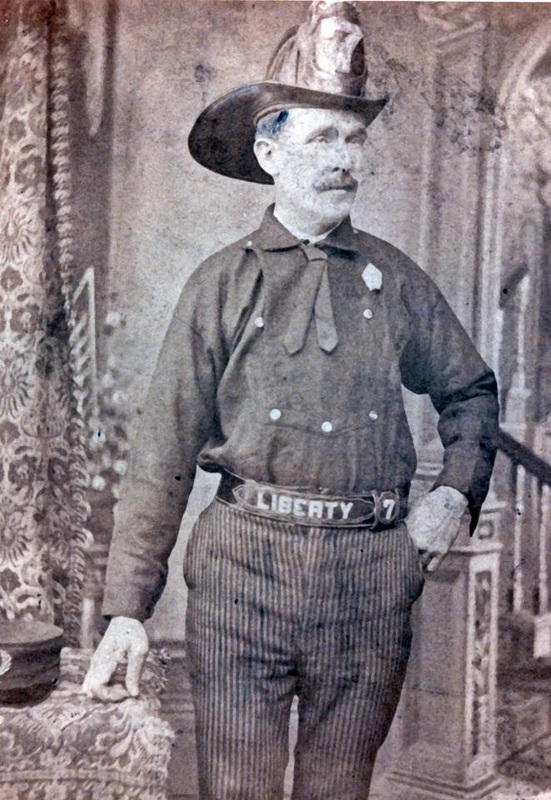 Unknown Liberty 7 Fireman wearing a shield shaped breast badge and parade belt. ​His uniform cap is partially seen on the stand to his right.